Unsure whether the decisions you make are the best to deliver real customer value, while their demands constantly change? 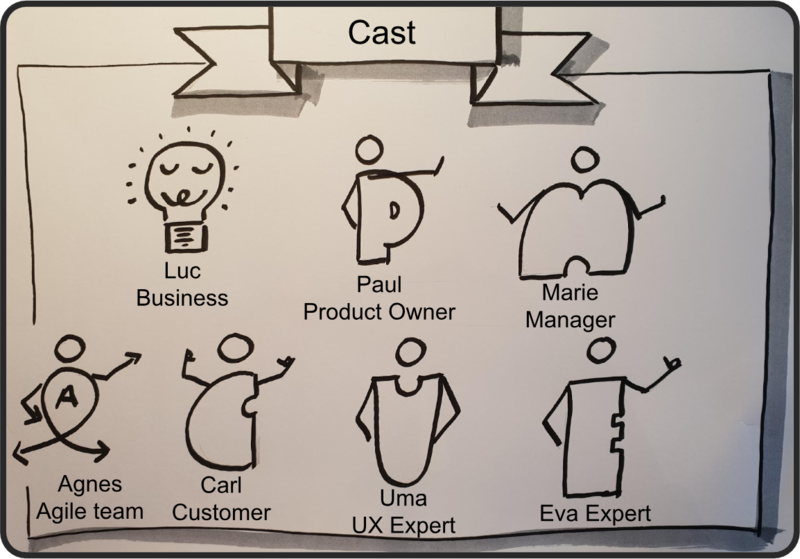 Juggling being a product owner, product manager or analyst across multiple teams? This workshop will help you deeply understand your customers and enable you to deliver products and services that they love. Through mindfulness, you will think more clearly resulting in better decisions, which drive innovative solutions. You will gain practical experience and understanding of why mindfulness is the essential skill for effective product ownership. The Product Ownership role and common issues faced. Introduction to mindfulness and its benefits. Implementing mindfulness in the product ownership role. Why mindfulness is so important for creativity and innovation. How to empathise with your customers and stakeholders to truly understand their needs. How to apply mindfulness practices in your day-to-day work. With a background in software development, Kathy Berkidge is a BA professional with nearly 30 years of experience working on I.T. projects in the telecommunications and retail industries. She delivers BA and agile training and coaching services to many organisations in Australia and around the world including large corporations and government departments. Since 1999, Kathy has been studying, practicing and teaching mindfulness. Kathy helps teams and individuals integrate mindfulness practices into their agile framework to improve teamwork, be more innovative and deliver better customer value. She is passionate about seeing people, teams and organisations succeed and thrive in an environment of collaboration and harmony. This half day interactive workshop provides attendees with an understanding of User Stories within an agile context. During the workshop Lyn will explore the purpose of user stories, when and how to create them and how to manage them through to successful working solutions. You will leave this workshop with a good understanding of how to create, refine and manage user stories and use them effectively. Lynda Girvan has over 25 years of experience in business and systems development as a consultant, professional trainer and practitioner in both the public and private sector. 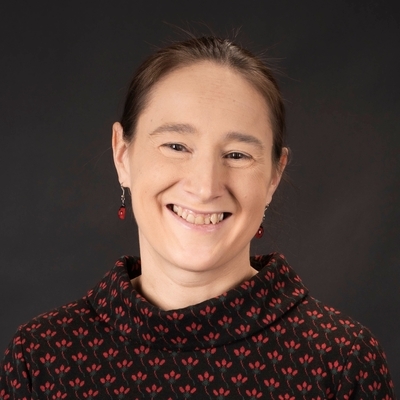 She has extensive experience of adding value to organisations at a variety of levels including coaching agile development teams or helping board level change projects. Lynda’s particular strength is applying business analysis and agile techniques together to help organisations overcome challenging business problems. Lynda is the co-author of the book ‘Agile and Business Analysis’ which was published by the BCS, Chartered Institute for IT in Februari 2017. 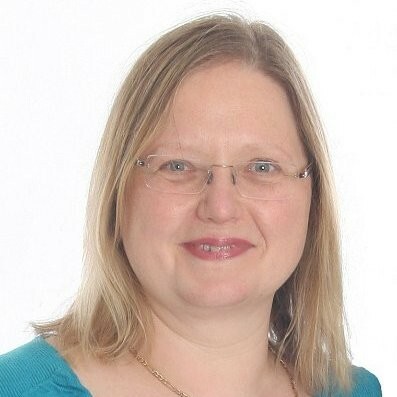 Lynda currently works for CMC Partnership (UK) Ltd where she is Head of Profession for Business Analysis as well as their Lead Agile BA. Lynda has delivered numerous presentations and keynotes to European and international audiences covering subjects on business analysis, agile and business change. Reserve your seat for this session. So much of software development and customer solution delivery is exploratory, requiring experimentation to solve new problems in areas we know nothing about. Our requirements are not known. They are not waiting to be gathered. They must be discovered. In many cases it may only be possible to determine the cause of a successful effect after the event. So how do we approach such uncertain situations as Business Analysts? This session will introduce the Cynefin framework, a model that helps us make sense of different problems, based on their predictability. It will describe how we as analysts can use it to understand which of our problem areas are complex and how we should respond, embracing this uncertainty. It will also introduce requirement discovery techniques for problems that no-one yet understands, and how these have been used to discover customer needs in a new loyalty proposition at John Lewis & Partners. 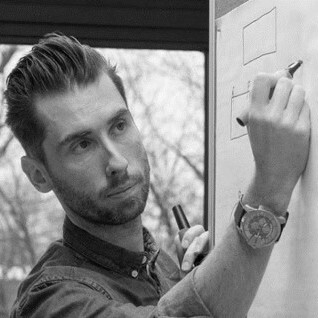 A business analyst, product engineer and coach, Matt Thompson is responsible for business analysis value in all digital channels at John Lewis & Partners; developing BA leaders, product engineers and the analysis community of practice. 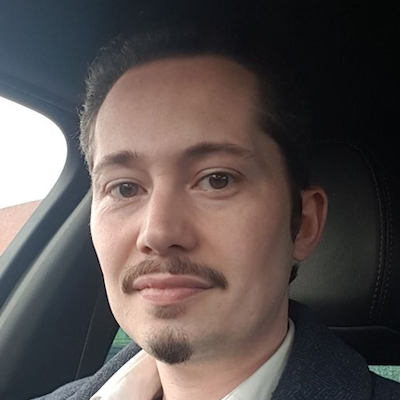 Mixing a newfound love of software development and an old school love for professional development, Matt describes himself as a community builder, a breaker of role boundaries, and a lifelong learner. We created 4 stories within the Enterprise Architecture team to show how VRT has to prepare itself to stay relevant the coming years. These 4 stories take into account the upcoming trends, the contract we have with the Belgian government, customer needs and the reality and culture of today. These stories are clusters of business capabilities, translated in roadmaps by using value streams. Furthermore, these stories are supported by a functional domain model, information model, application en infrastructure architecture to show the impact on the level of: processes, organisation, technology and information. 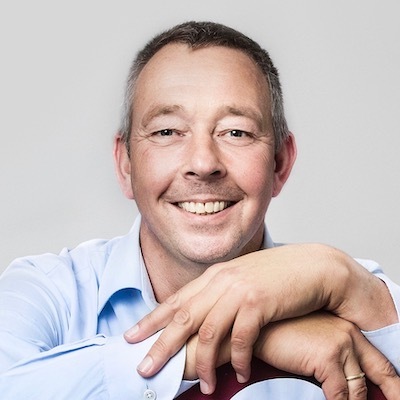 Frank Lemmens has more than 25 years of experience in the world of IT. During the last 10 years he was responsible for different ICT and enterprise architecture teams/projects. Due to this responsibility he often was a member of the ICT management teams at those companies. These assignments were always combined with a project management based approach. In his role as an ICT-manager, he knows to bridge the gap between business and ICT and has a lot of experience with the creation of ICT masterplans and roadmaps. Inclusive the governance of putting these projects into reality. He has a master Applied Economic Science, a master Computer Science and a master ICT-Enterprise Architecture. Don’t Bring Me Solutions: Bring Me Problems! This can be avoided with robust pre-project problem analysis. In this presentation, you will hear a concise description of a select few practical techniques that can be used to explore and define problems early in the business change lifecycle. With a better understanding of problems, we are much more likely to be able to solve them. Adrian Reed is a true advocate of the analysis profession. In his day job, he acts as Principal Consultant and Director at Blackmetric Business Solutions where he provides business analysis consultancy and training solutions to a range of clients in varying industries. 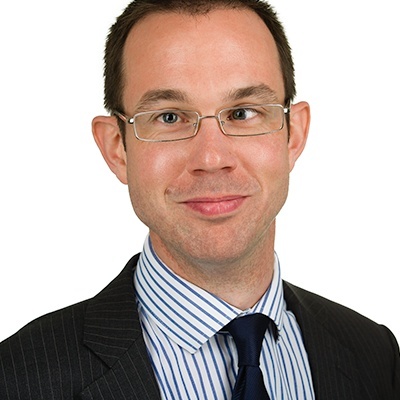 He is a Past President of the UK chapter of the IIBA® and he speaks internationally on topics relating to business analysis and business change. Adrian wrote the 2016 book ‘Be a Great Problem Solver… Now’ and the 2018 book ‘Business Analyst’. Domain Driven Design is gaining traction in our business. Unfortunately the strategic part is often overlooked, even though it is at the heart of the practice, and is what helps forming a better relationship and understanding between Business, Analysts & Development. They will be illustrated using the current HR domain I'm in : Comparative Selections in government. More precisely , the different meanings of Psychometric Test in the different systems will be explored. Yves Lorphelin somehow landed into the world of software development. 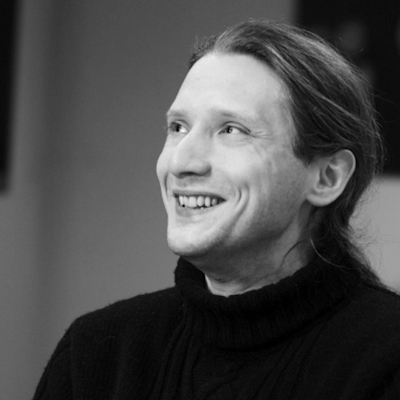 He currently focuses his learning on Domain Driven Design and related modelling techniques. Building systems to solve business problems, trying not to create new ones. And always creating long term relationships with customers. He worked in all kind of domains: banking, leasing, logistics, Healthcare, HR recruitment, … And spends his time building new systems, replacing legacy, integrating systems. 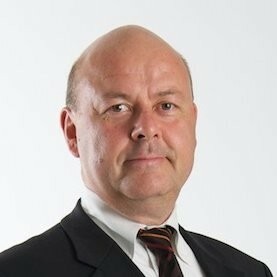 He currently leads the development of an HR system, used by government agencies in Belgium. This system focuses mainly on the screening and selection process. User Stories are everything and everywhere. Stories are defined, listed, broken down, planned, estimated, analysed, elaborated, written, implemented, discarded, versioned, ... Using stories will solve all our problems and make ourselves Agile! ... or so a lot of companies think. "We use stories, so we do not need to document anything anymore!" "User Stories are just smaller use case documents"
"If it does not fit the 'As a [role] I can [do something]' - template, it is not a user story!" "This is too big to be a story, you should split it." "We have 1000 of stories in our backlog, they just bring chaos (and destruction)." In this interactive and practical talk we elaborate on the history and concept of a user story, what it is and what it is not. We elaborate on the 2 problems that stories solve and the 3 problems stories create (and how to mitigate these). This leads to better insight (stories are for telling) and use (you still need documents). 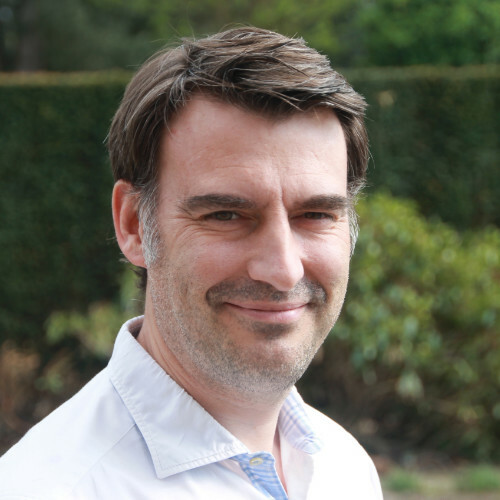 Pieter Hens has been working for over 15 years in a software product development and analysis setting. First as a researcher in the area of Business Process Modelling, later as an agile and lean practitioner. He has taken up roles as a business and functional analist, project manager, coach and teamlead in projects of various sizes. 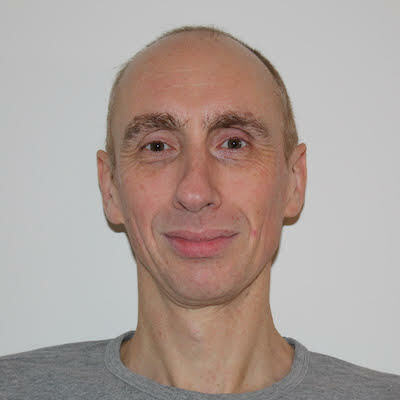 He currently specialises in the full range of software product management: product strategy, discovery and development. 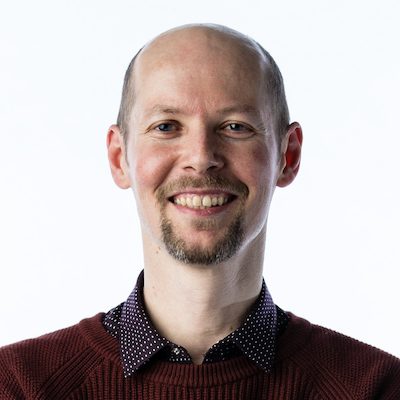 As an agile and lean adept he speaks and trains on a professional and academic level (at VUB and KULeuven): agile analysis, agile project management and lean product management. In recent years, we have evolved from having static, abstract meetings to having more dynamic workshops through the use of visual techniques. This has resulted in us being able to present complex matters more easily, to more readily understand users’ situations and needs, to create common understandings and to facilitate discussions in a more dynamic and interactive manner. During our presentation we will tell you about our journey using concrete examples, explain our techniques and also discuss the advantages and disadvantages. We facilitate and create understanding for all the stakeholders using visualization techniques. We show our journey in visual techniques (incl. pros and cons). We show real live examples and demonstrate during the presentation. 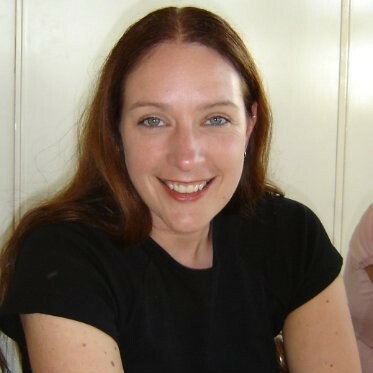 Ann Mistiaen started her IT career in early 2000 as a consultant and a functional tester. 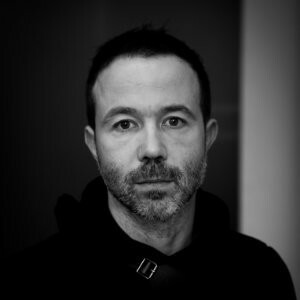 Nikolaas De Graeve started his career in IT and communications in 1998. After building up experience across numerous projects they both now work as business analysts for Novado (a software innovation company) providing solutions for both internal and external clients. Ann and Nikolaas enjoy facilitating stakeholders in the identification and prioritization of their requirements across the three domains of analysis: project, pre-project and strategic. They have vast experience in eliciting and formulating requirements and the application of business analysis through interviews, workshops and co-creation sessions. Through their increasing use of visual facilitation techniques, Ann and Nikolaas distinguish themselves and create even more interaction, understanding and co-creation with stakeholders. Ann and Nikolaas look forward to sharing their thoughts and experiences with the BA community. Decision and Process Modeling: Which Comes First ? Business Process Management (BPM) and its life cycle activities — design, modelling, execution, monitoring and optimization of business processes — have become a crucial part of business management. Most processes and business process models incorporate decisions of some kind that describe the premises and possible outcomes of a specific situation. Decisions, however, are often hidden or hard-coded in process flows or activities. Traditional process modeling techniques turn out to be rather inadequate for modelling decisions. DMN (Decision Modeling & Notation) has become a standard for representing and implementing business decisions in real business situations and processes. This presentation takes you from the secrets behind decision modeling to productive decision management in real business situations and processes. 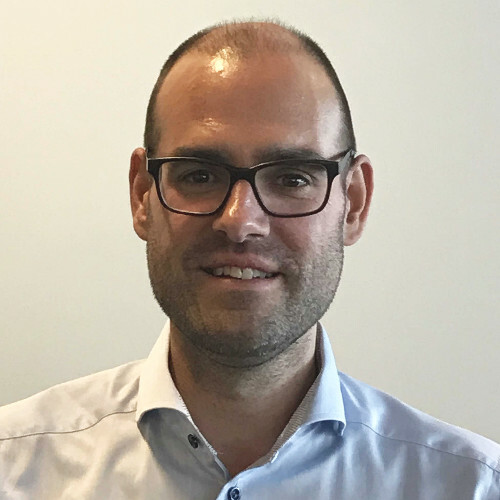 Jan Vanthienen is professor of information management at the Business Information Systems Group of KU Leuven, where he is teaching and researching on business rules, analytics, processes and decisions. 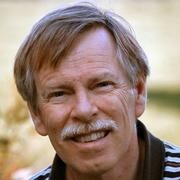 The area of business rules and decision modeling has been his major area of research and expertise for many years. He is a regular speaker at process and decision management conferences. Following the publication of DMN (Decision Model and Notation), decision management has become a hot topic in, but not limited to, Belgium. An increasing number of parties claims to provide services related to decision management. They tend to think that decision management is limited to DMN. However, decision management is simply a new term for business rules management, a research area that became a business discipline during the 90’s, followed by a similar hype. A lack of knowledge about the discipline being practiced, resulted in a large number of failures, strongly reducing the velocity by which the innovative methodology has been adopted by organizations. During this session we want to give you a short introduction to decision management; what does it encompass and which benefits can be achieved by organizations. Yet, we also want to show you some of the lurking traps, should decision management be applied incorrectly. Decision management encompasses more than DMN alone. Don’t be fooled by the simple look of business rules. If applied correctly, decision management can be advantageous. After a study in the Netherlands, Dennis Aarts came to Belgium, where decision management was far less mainstream. In Belgium, Dennis realized multiple analyses in terms of decision management, yet always followed by a hard coded implementation. Right now, he supports different customers with the purchase of a business rules engine and guides their analysts in the definition of business rules. Mirror, Mirror on the Wall, who’s the wisest of them all? Recently, machine learning algorithms surpass humans intelligence in many areas (go, chess, poker). Operational optimization (logistic, back-office) and customer behaviour predictions (marketing, sales) are some of the top priorities in companies to digitize their business. But only a few can remember that it all started in Bletchley Park with the need to break the Enigma Code. Without business analysis techniques they probably wouldn’t have succeeded. BA approaches that were used back in the day are still valuable today. We will present two real (banking sector) cases and their results to demonstrate analytical phases of designing, developing and using predictive analytics models that process customer data daily and recommend actions, based on predefined business rules and decision points in workflows. From Stakeholder Needs aligned with their Value we will show how to build smart predictive algorithms to determine the “next best action” and “preferred channel” in the Context of better CX. Defined KPI’s measure VALUE daily and enable BA to monitor effectiveness and efficiency continuously, detect potential issues and take necessary corrective actions. In 5 months we increased the VALUE to 450% and needed 16 days to achieve ROI. Large quantities of data exist, but the value is in analytics, not only the right algorithms that will work, but that they improve CX and add value. 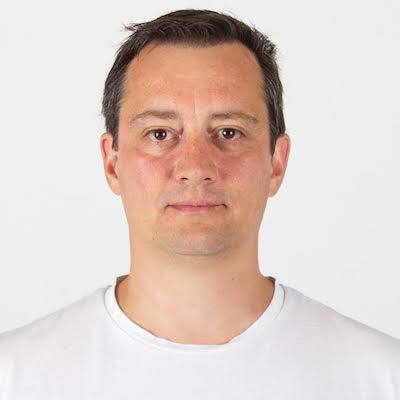 Approaches to ensure that algorithms and procedures used within project are "good enough"
Andrej Guštin is a co-founder and CEO at CREA pro, a leading Slovenian consulting company focused comprehensively on business process management and innovation. Andrej’s activities are in general in management business consulting on strategy, process optimization and process innovation. 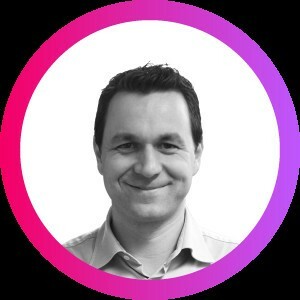 Andrej helps organisations in designing and implementing complex solutions, based on business process analysis and innovative approaches and contributes to diverse business/digital transformation and services delivery projects. As “representative from business” he regularly holds lectures and practical example’s presentations at the different university programs. 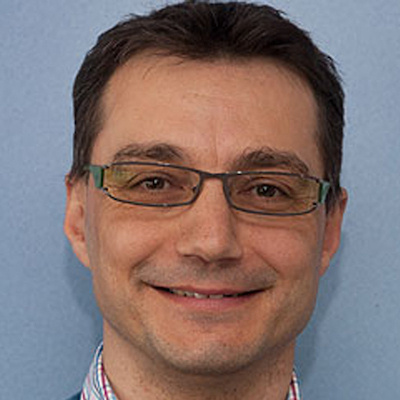 Andrej is a vice president of IIBA® CHAPTER SLOVENIA and holds a Science Master Degree. Data is growing at an exponential pace these days. According to an IBM study 90% of all the world's data has been generated in the last 2 years alone. This offers endless opportunities for organizations to tap into, however reality has it there's lots of room for improvement here. 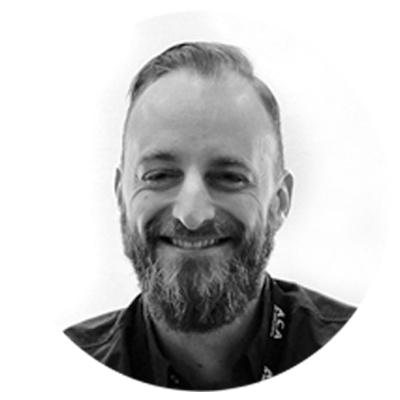 In this session Jack Esselink will discuss the latest developments in data analytics and what pivotal role the Business Analyst can play to leverage data as a strategic asset. In his daily work as a data evangelist Jack Esselink, who works for IBM, helps organizations identify the opportunities to do smarter things with data. Jack is a seasoned data professional who has 20+ years working in IT and loves speaking about data and all related items. When not working for IBM he likes to play (electric) guitar and riding his mountain bike. Start small and change slowly. Involve the business from the start. In the presentation I will discuss the agile principles and what they mean for the BA, explain why the transformation should occur slowly and stress the importance of cocreation with the business representatives. 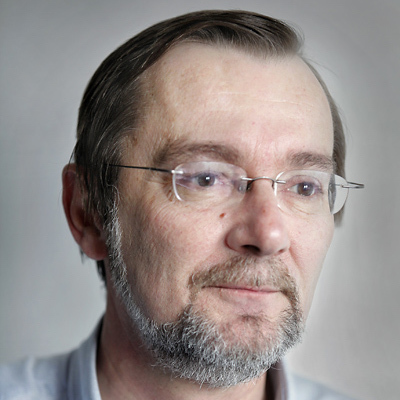 Jan Legtenberg is an experienced business analist, specialized in agile. 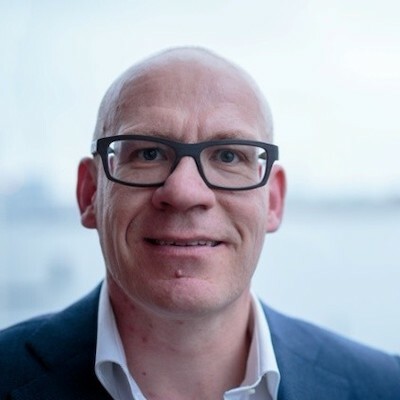 As a consultant he has worked for large organizations like the Dutch Tax Authorities, the Dutch Railways and the Kadaster. As a trainer he conducts courses in requirement engineering, (agile) business analysis and modeling business processes. Recent experiences involve working as a business analyst for the Train Guiding System and a Ticket Booth system at the Dutch Railways and a CRM system for GD Animal Health. Jan is a member of the program council of the Dutch Dream Event. Ever wondered why we use post-its during a retrospective? Most Agile practitioners know why we do retrospectives. But do they know why we use post-it’s? A lot of people don’t. This is one example of a hidden layer: the deeper meaning of the Agile techniques. Whenever you consider using or dropping an Agile technique, you have to be sure to know all the consequences, including these hidden layers. For each of the next 7 hidden layers, we'll talk about techniques to find the hidden layer. Even more importantly, I'll explain some Agile games you can use to feel those hidden layers. I work more then 20 years in IT and did most of the common software jobs: developer, analyst, teamlead, project manager. I experimented with cultural change management during 2 years, after which I returned to IT because of the faster speed of change. I am an agile coach (or mentor?) since almost 15 years, and still learning every day. I coached all kind of teams in all kinds of organisations: software, operation or marketing teams, in Belgium and abroad, in small and large organisations. Combining people, process and product is my passion. In today’s organisations, more and more importance is placed on the need for teams to collaborate to deliver innovative solutions and successful business outcomes. Teams that work effectively together are the key to providing real value to project stakeholders and end customers alike. Close collaboration is required to ensure everyone understands what provides value, as well as recognise what is needed from everyone to achieve the goal. But collaboration is much more than just communication and coordination. And innovation requires new and creative ways of thinking, which is not easy to do. Mindfulness allows teams to work together with greater cooperation to truly collaborate, overcome difficulties, share ideas, and challenge each other without falling into chaos and conflict. Through mindfulness, teams communicate more effectively, think more clearly and increase creativity that drive innovation. This session will discuss why mindfulness is the essential ingredient for collaboration and how it enables creative thinking. Innovation is a bit like eating healthy. Everybody talks about it, but secretly we still prefer our cupcakes and chocolates. Innovation is a real buzzword. But what actions really make a difference? 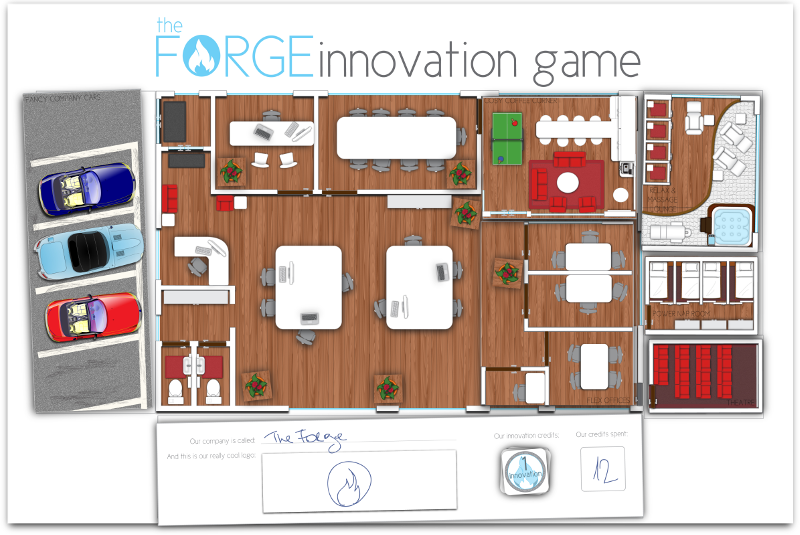 With The Innovation Game you can experience how to make the right, evidence-based decisions for innovation. During the game your team starts a new company. Your team is the management team of the new company. Of course you want your company to become more innovative. In several rounds your team will be confronted with several decisions you have to make about your company’s culture, teams, employees and processes. But which decisions are actually the good ones for innovation? If you make the right decisions, you’ll be rewarded and you’ll see your company grow. What do you think about a new coffee corner, a power nap room or a jacuzzi at the office? After each challenge you'll receive feedback on why your decision was good or bad for innovation. Everything in the game is backed up by scientific literature. At the end of the game the participants reflect on what they learned and how they could apply that in their daily work. Background Experimental/Organisational Psychologist & PhD at UGent. Worked for the Centre for Development of Creative Thinking (COCD, as facilitator of innovation processes) & UGent (researcher). Other Experienced Keynote spreker (ao TEDx). Experienced improv and stand up comedian. Coaching of public speakers. Background TEW at KULeuven & MBA at Vlerick. Worked for IBM, TV Brussel (management), Sanoma (operation manager). Expertise Leadership, communications management & team communication. Other Experienced improv and stand up commedian. Coaching of public speakers. Large organisations are struggling to make the right decisions for their clients and employees. Implementing service design thinking and doing into these organisations can help them in this process. But how to start and what barriers do we encounter. I would love to share some real insight stories on successes and struggles we went through. And give some examples of how we help organisations in this process. Large governmental organisations, like: the Flemish institution for education (Gemeenschapsonderwijs), the Flemish department for work and social economy, Belgian department for employment and education VDAB, etc. 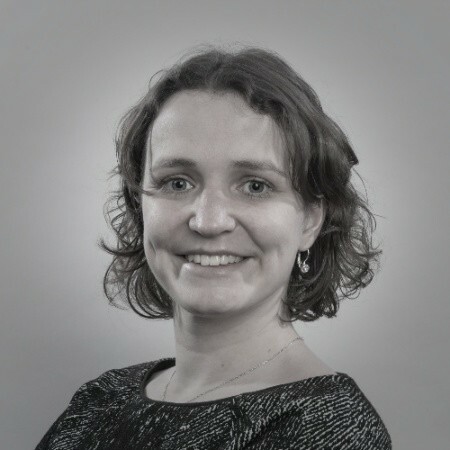 Stina Vanhoof is a managing partner and service designer at Knight moves, a Belgian service design agency. 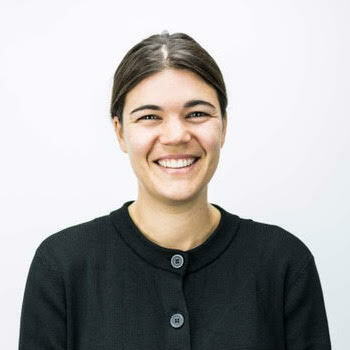 She is host of the Service Design Podcast and representative of the Belgian Service Design Network. Passionate about designing for people, together with people. Since the 50's people have used projects as a way to fund and organize software development. Teams are formed to work on temporary, development-focused projects which are approved though some sort of business case. The entire focus is on output: getting the project done in scope, in time and on budget. The rare project that meets these constraints can however still produce a crappy product: it does not achieve the necessary outcome (benefits to the user). This is different with a product mindset. The focus is not on the output (getting features out), but on achieving the best possible outcome for the end user. A product mindset focuses on detecting and solving problems, and adapting when new ones emerge. Teams are given problems to solve instead of a list of solutions to implement. Product teams focus on maximizing customer value. In this talk, I explain why we favor products over projects and delve deeper into the benefits and challenges of a product mindset. 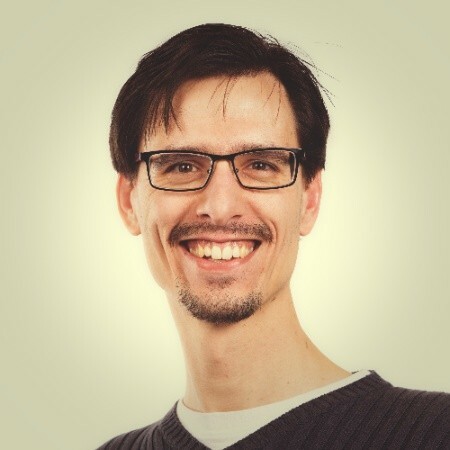 Jonas Van Poucke has 20 years of experience in building software products and took up all the roles necessary to arrive there: developer, analyst, project manager, agile coach and product manager. 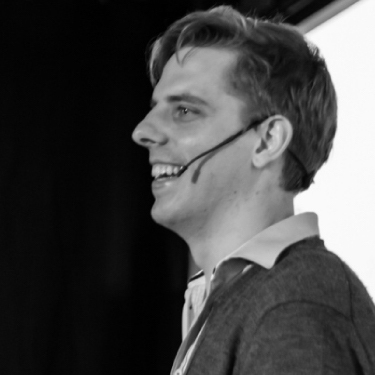 His current focus is on product management and he acts as a product manager, coach and trainer. Why you Shouldn’t Imitate Apple! Have you read about the reasons for Apple’s success, or some other highly successful company like that? Have you thought about using the same tactics in your business? There are multiple flaws in doing that. We’ll discuss all those flaws based on examples and logics behind them, to have a more rational approach in our businesses and projects, and reduce the likelihood and impact of failures. 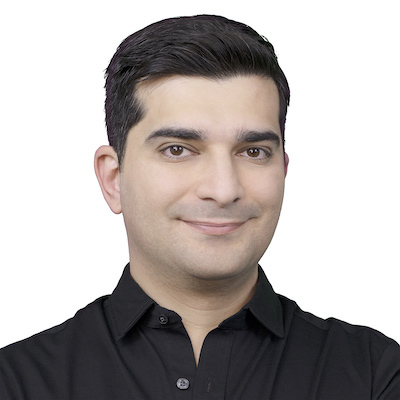 Nader K. Rad is a project management author, speaker, and adviser at Management Plaza. His career started in 1997, and he has been involved in many projects in different industries, including IT development, construction, and process plants since then. In the present, the ongoing globalization process has brought nations closer and borderless economies have emerged. It is essential for a BA to understand not only the economic and political but also the cultural conditions of the stakeholders, users and the team they are collaborating with. Culture is hard to define or measure, but we will try to do it together. So please, join my session in order to discover the cultural dimensions, strategies and tips on how to build bridges, develop a cross-cultural understanding and the necessary skills in order to collaborate better. Case study: Management of an IT Outsourcing multinational and cross-cultural company. Irina Rogojina is a Certified Agile Product Owner and Scrum Master and the Leader of the Agile Community at Pentalog Chisinau. She is passionate about Product Management, Agility, Cultural Diversity and Innovations. Her experience as a PO and an Analyst in two multinational and cross-cultural companies helped her develop the cultural awareness and other competencies related to cross-cultural agility. Now she is trying to promote strategies for building bridges between cultures, using the ability to deal with a changing situation and not get paralyzed by it. She would be more than happy to share a bit of her experience and her personal insights linked to the importance of a deep understanding of the cultures you are interacting with on a business level. So, you’re a Business Analyst. You know how to elicit requirements and analyse them. You are objective about your stakeholders’ needs, understand the project scope, can determine the cost benefit and still things don’t turn out as expected. It could be down to Cognitive Bias. Why aren’t people coming up with new ideas in your workshops? Perhaps it’s the bandwagon bias. Why is estimating seen as a black art? Blame the planning fallacy and optimism bias. This session will draw on new ideas coming from fields of psychology, neuroscience and behavioural economics and apply them to Business Analysis. We’ll look at ways to overcome biases and help counter the natural tendencies of our brains. Dr Liz Calder’s experience ranges from leading cross-functional and global teams in large organisations to being part of a small digital agency team. Whatever the environment she knows that what makes a project a success is the combination of good project practice and getting the best from the people in your project. To ensure all stakeholders get the most out of a new system or website she uses insights from the fields of psychology & behavioural economics to push for the best outcomes for all involved. Liz is Director of Blue Raccoon Ltd, a Business Analysis consultancy, and blogs at her site blueraccoon.co.uk/articles. She is also an IIBAUK Communities Director. With collaboration being key to project delivery and organisational success, how we behave as BAs is more important than ever. It’s time to hold up a mirror up to the BA profession and ask if we like what we see. There are some behaviours and attitudes that we as BAs commonly fall into, and we don’t always consider how these are perceived by others. By considering our behaviours, becoming more self-aware and being genuinely open to giving and getting feedback we can ensure that our behaviours reflect well on the profession and keep the BA role in demand for future generations. Come along and share which BAD BA behaviours you have witnessed or perpetrated! 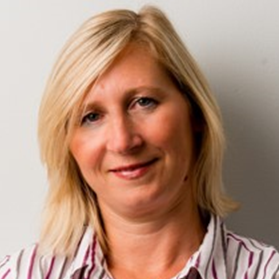 Christina Lovelock has built BA teams in several public sector organisations including the NHS, ranging in size from 5 to 120 Business Analysts. She currently leads the BA practice at the University of Leeds. She is active in the BA professional community in the UK, attending and regularly speaking at local and national events and conferences. Christina is a BCS oral examiner for the International Diploma in Business Analysis and is also a director of the national BA Manager Forum. 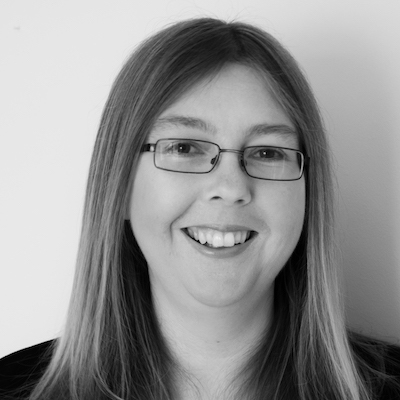 Christina is committed to the development of future generations of business analysts; she has introduced entry level BA roles into her organisations and through the BA Manager Forum played a driving role in the creation of the UK National standard for the apprenticeship in business analysis. During this session — let's start thinking with our pen. No matter how convoluted a problem may feel in your head — simply pick up a pen and make the first stroke — the rest usually takes care of itself. I bet you will like it! Visualisation and visual facilitation is a (new) method to make content and process visible in realtime. Be it in presentations, workshops, coaching sessions, trainings and meetings — whenever people engage in dialogue, are working together and want to learn from each other in an impactful way. Bikablo is the brand that opens the door to the world of visual thinking and dialogue. You are (still) convinced that you are not at all talented and would like to get an intro in how to visualise? You have little experience with visualisation so far and you are looking for an easy way to improve your analysis documentation and make them more clear, attractive, and lively or you want to take your first steps into the world of visual facilitation and storytelling? This session is definitely something you will never forget! Get an intro about how to Present, Document and Explore Visually — This session will be very interactive and aims at people with all different backgrounds and experience levels (after all visualisation is useful for everybody). As bikablo® certified global trainer, he trains and coaches people and teams in the bikablo® visualisation technique — a technique which improves learning, knowledge transfer, dialogue and collaboration. 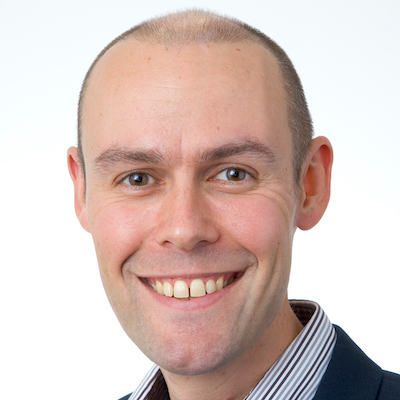 Over the last 10 years, he has been working as a pragmatic “Enterprise Lean-Agile Coach”, supporting companies big and small in their improvement journeys in immer changing markets, be it adopting Agile models or thriving as a start-up. Today his passion is exploring new techniques and methods for inspiring people and helping them make their messages stick. He lives with his wife and 2 sons in Antwerp. More and more organisations are adopting agile techniques and approaches. Agile adoption brings about changes to processes, approaches and roles, and some BAs can be left wondering where they fit into this new world. Lynda Girvan will discuss what it means to be an Agile BA and how as an Agile BA you can bring value to your organisation through having the right mindset and a comprehensive toolkit. It’s a complex world full of complex problems- organisational change, the income inequality gap and digital transformation just to name a few. The conventional way of combatting complexity to solve problems no longer works. The great minds of Systemic Design have come together to create a unique and innovative toolkit designed to embrace complexity and change the way that we design solutions. The first of its kind, the toolkit is based on academic research and human-centred design expertise. It is also the first to be endorsed by the Systemic Design Association and is truly changing the way that solutions are designed. We invite you to come and discover how the Systemic Design Toolkit is driving a democratisation and transformation of the solutions design process for all stakeholders involved. How do you make a future proof application design? Well the answer is easy, you don’t. It’s not possible to make an application design that will stay valid forever. Demands change, markets change, business models change, time changes, basically everything changes. So the only real ability that you need to stay alive is the ability to change. And the only way to differentiate is to be able to change faster than the rest. But how? Well maybe with low-code, come and check it out! As analysts, it is our duty to create business value by understanding business problems, and by helping with the evaluation and implementation of possible solutions to these problems. In a quickly changing world, this is not a trivial task. At TMC, we have thought long and hard about the skills any business analyst should possess in order to be successful. In this workshop, we want to explore and refine this roadmap together with you. Together we will decide where to go next with the courses on The Master Channel. As a bonus, just for helping out, we will choose one person who gets free access to one learning track of his or her own choosing. Why is Agile making my Strategy Director crazy? Doing strategy the way we always did simply doesn’t work in a constantly changing world; Companies will have to do strategy in a different, more agile way. The 3 following mind shifts are fundamental in embracing a more agile strategy. RPA process analyses. Let's do it the right way. The right way being for the right reason and context using the right procedure(s) UiPath provides ample of support in sharing methods, tooling and best practices to kick- start the preparation and running of RPA projects. Experience based use of this material augmented with our experience, tools and techniques boils down to our own way. The right way? Relentless focus on the benefit realization within the budget envelope and timing supports the reason for the RPA technology adoption. This in combination with actual and planned other business and IT projects. The benefits we cluster around increased efficiency for individual(s) in specific roles, for the ‘mood’ of a range of individuals (replacing monotone, repetitive, low value-added manipulations killing the ‘mood’ in man-machine context) or pure cash (fast(er) realisation of benefit realisation than using any other possible approach or techniques). Related to the procedure(s) in each of the 3 steps (preparation, build and run) the must have’s and do’s will be clarified as conditions to reach a successful RPA program. After the BA team in our company grew from 15 to 40 members, with most of them freshly out of university, and with all of us spread out on different projects, we knew it was critical to develop a place where we could all become closer colleagues, learn from each other and actively work to increase the standard of business analysis practices in our company and wider. Improve sharing the knowledge within the BA team and increase the quality of BA work. Speed up the onboarding of new team members and helping them do their work in the optimal way. Nurture the culture of providing constructive feedback. Although I started my carrier journey as Auditor, I'm happy to say that I have found my calling from the very first moment I started working as BA. I had the opportunity to work in both waterfall and agile custom software projects within the Public and Private Sector. Lately, I have been focused on promotion of BA good practices and education of younger colleagues in a company I currenty work for. A career in IT was the only logical choice for a curious introvert who feels comfortable around other geeks. So, it is no wonder that after a few years of playing with hydromechanics, I found my perfect spot working as a business analyst on a variety of custom software projects. I am particularly interested in business processes and ways to help clients improve them. When not in the office, you can find me running in the mountains. In an effort to close a gap within the majority of IT companies, I would like to present my vision on Knowledge Management and Knowledge Transfer Processes. With an emphasis on establishing a standardized way to acquire, document and share knowledge throughout a company, I hope to stress the importance of this aspect, especially for a business analyst. How a thorough knowledge transfer process enables these companies to better staff people, adapt faster to client needs and having new people contribute faster. Best practices on how to acquire and share knowledge, like through active learning sessions, continuous contributions and attributing time & materials to maintain a knowledge sharing culture. The importance of an organized and uniform knowledge transfer process. An elaborate overview of an example that I am working out at my client’s side. Lessons learned throughout several missions concerning knowledge transfers. A proposition on how a standardized knowledge transfer process can be created. I will conclude with the possible outcomes of creating a knowledge management culture applied to a few example cases. A historian in an IT context, that is always a unique look on the job. In my different projects during my +3 years of professional experience, I have mostly been active in the financial sector. Lacking a formation before my first day as a business analyst, I had to acquire new information and knowledge fast in almost every situation. I have frequently used my acquired skills as a historian to establish structure in the amount of information that needed to be obtained aswell as establishing a process to acquire this information. I have acted as business analyst, testing coordinator, product owner, on several projects in the financial sector. In my current project I needed to replace in less than 2 weeks a long lasting contractor that had +20 years of experience in a very specific aspect the banking trade. My presentation is inspired on how I have coped with this challenge. How can we help teams to start new ideas? As Business Analysts, we play a major role when starting a new idea. In an Agile environment it's not so crucial to gather all requirements upfront but to help the team to identify what's the minimum piece of work that can deliver value as soon as possible. For each of those three, you'll learn what they are and when it's best to use each of them. Related to those, I will also focus on the role of a BA (always speaking in 'first person'). Get ready to hear some real-life stories! 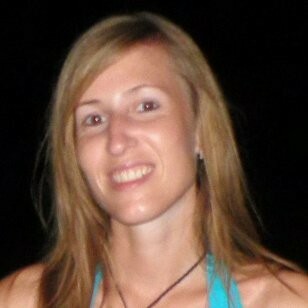 I am a Senior Business Analyst at ThoughtWorks (currently based in Barcelona, Spain). I have held many different roles in the past, from software engineer to Product Owner and Agile Coach. Highly experienced on different agile frameworks such as Scrum, Kanban or XP, with a strong interest on Agile Product Development practices. I have also worked at many different levels of an organisation, from C-level to development teams. As a Business Analyst, I help organisations to define their products ensuring that they deliver value to customers early and often. I am a certified Professional Scrum Master by Scrum.org and Certified Scrum Product Owner by Scrum Alliance. When we received a future business process description using a conventional process diagram in order to represent an overview of the requirements for a financial advisory tool, we felt that business analysts did not want us - the user experience specialists - to start with "our" work. We convinced them to use a series of 3 workshops implementing scenario-based development (tell the story of the process from the users' perspective) and a special design-studio technique (visually brainstorm on most difficult design challenges) to their project procedure. The result was a more qualified future business process, a deeper understanding of the context of use and a tangible paper prototype, ready to be tested by and with users. 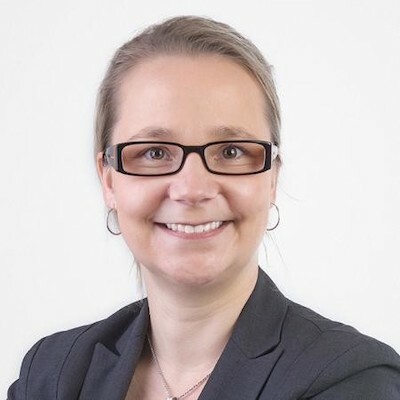 Susanne Schmidt-Rauch is co-founder and partner of evux (www.evux.ch), a consulting company in Zurich that puts user experience at the heart of day-to-day work. She is working in the environment of digital channels and touchpoints for more than 10 years and helps large and medium-sized companies to improve their customer interactions in any kind. Her specialties are UX-methodologies and user research methods. 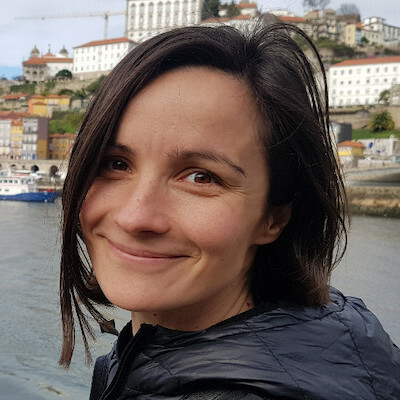 Susanne is working in the roles of a business analyst, project manager, user experience architect or user researcher for digital products which mostly face to customers. Despite years of efforts to improve the professional approach to developing software systems, many of these projects continue to fail. Investigations into these failures invariably denote poor interactions between humans, both within development teams and with customers and users, as a key factor. Recent evolution in development approaches, like human-centered design and extreme programming, try to address this problem, but until now, an overall view was missing. In this presentation I integrate these initiatives into a simple model, that arranges six key skills along two axes (customer–team and problem–solution) around communication as a core. Many techniques are available to implement these skills in development teams, so failure will no longer be the usual outcome. Soft skills are the ultimate success factor for IT projects. Soft skills are not static: everyone can learn and improve their soft skills. The 7skills model integrates the most decisive skills and offers many techniques to put them into practice. 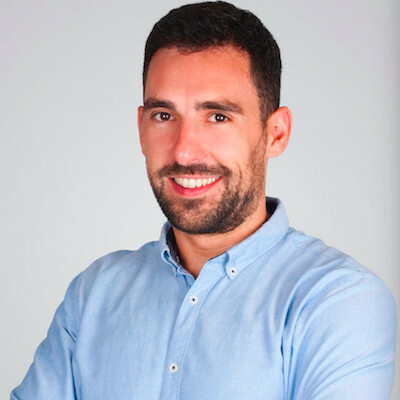 Nowadays, in his consultancy firm Taraxacum, he is active as a trainer/coach for design thinking, business analysis, requirements engineering and software testing courses. In various international conferences, he has been a regular speaker on these topics. Sasha Karpowa was born and raised in Russia. In 1993 she moved to the Netherlands as a student in Electrotechnical Engineering. In the Netherlands she graduated from the Amsterdam University of Applied Sciences in Business Informatics. Later on she has received her master of science degree at Nyenrode Business University in General Management. She has over 15 years of experience in business analysis from which 13 self-employed. 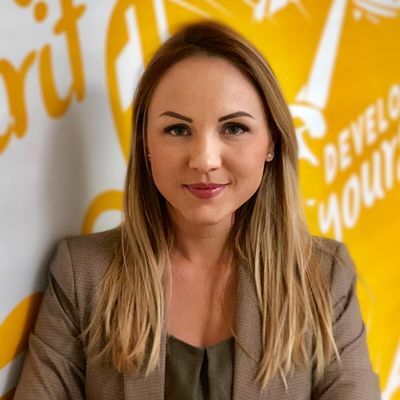 Sasha’s career followed a traditional IT path from development, technical design, information analysis to business analysis and product management. 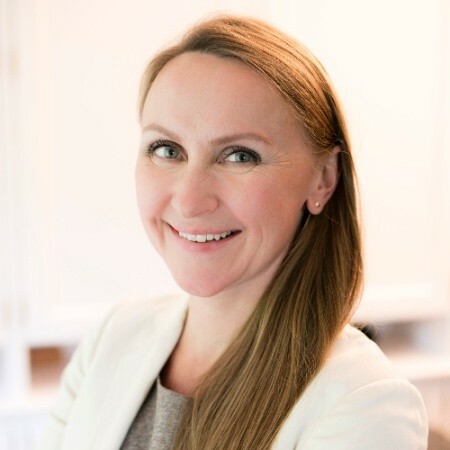 Nowadays Sasha is known for her wide range of roles where mediation between business and IT is required, like Scrum product owner, roadmap manager, business analyst, and product manager. She has business knowledge as well as software development skills in the finance domains of payments, cash management, client due diligence, billing and lease. 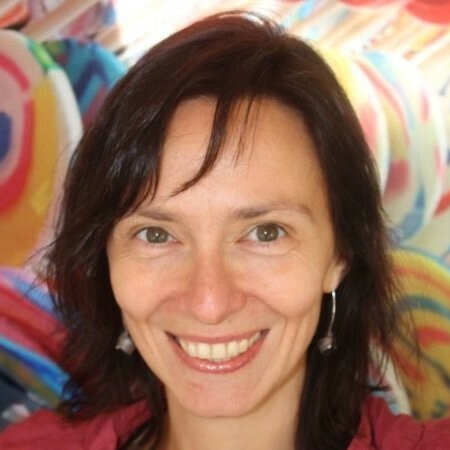 Next to her consultancy work, Sasha also provides courses related to business informatics as a lecturer at the Amsterdam University of Applied Sciences. The session will focus on the soft skill element that directly impacts performance of a business. This element is none other than the Performer. The principle is, when the performer is, peak performance is. Successful results are an inevitable consequence. A business is moved by performers and not workers, unfortunately, performers are the minority and this presentation will indicate how this is a skill that can be awakened, rather than just a subjective reality of some. The speaker will present 4 key principles for the inner architecture of a Performer. These are mindfulness based elements that anyone can easily relate with become conscious of. The presentation will highlight the critical determining factor of the presence of the performer, and its corresponding impact on performance and results. Clarity of one's role and how does one connect to it. Ownership of the results as a trigger of perpetual growth. 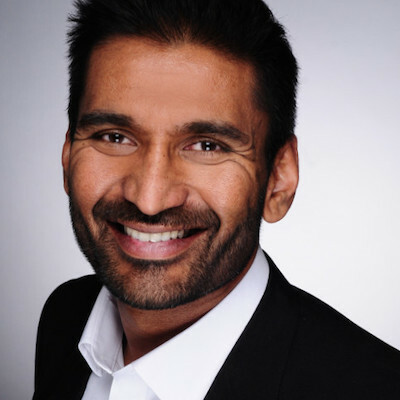 Navin Pillay has spent the last 25 years working in corporations around the world in diverse fields and cultures from aerospace engineering to project management and in the last 15 years, training and consultancy. 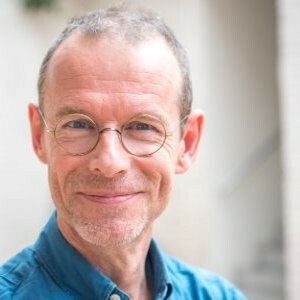 He is highly skilled and knowledgeable in the domain of speaking, training and facilitation specifically with themes dealing with mindfulness, change/transformation and science of critical thinking. He travels the world extensively conducting seminars and workshops and speaks regularly on topics involving the science of transformation and of late, the four points of rightness. 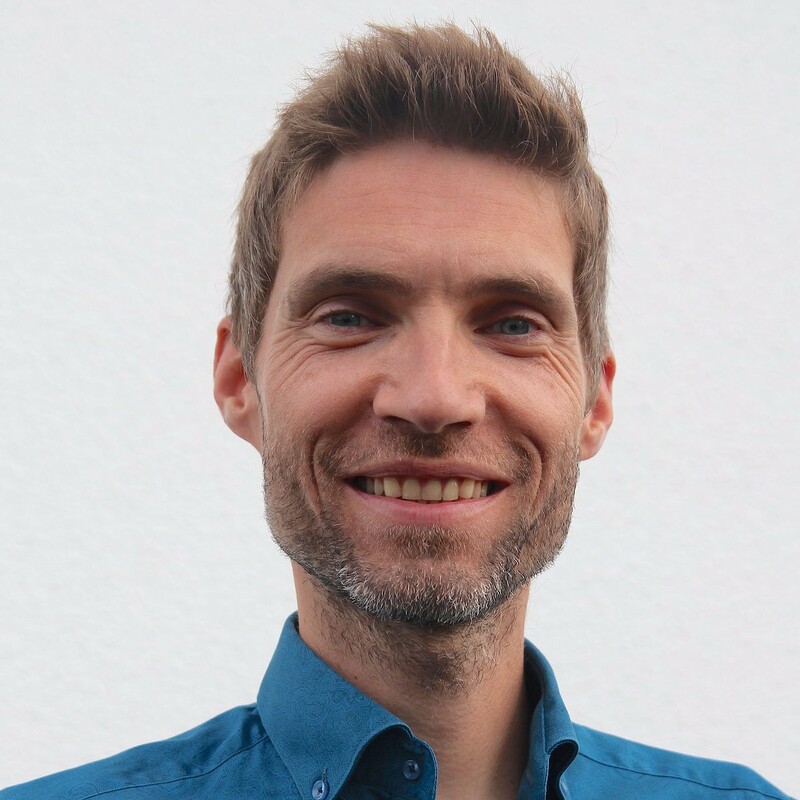 He is the founding partner of Holia GmbH, a consultancy based in Berlin, dealing with holistic organisational transformation and oversees the Dhyana Centre in Berlin, providing a space for the discovery and learning of mindfulness, meditation and personal growth.also assumes the role of the Chief Facilitator with the Dhyan Vimal Institute for Higher Learning, running workshops and speaking on the Art of Performing and science of awakening and transformation in Europe, North America, Asia and Australasia. He has spoken in many public organized events associated with the seminars he was conducting in Canada, Malaysia, Sweden and Berlin, the latest being a talk at the Cocreation Loft in Berlin. He is also an author of a blog on rightness at rightnessliving.com. A world café is a is a simple, effective and flexible format for hosting large group dialogue. In a café setting dialogue is prepared in small groups, exploring a topic with an open question or question in several rounds. Afterwards “harvesting” the ideas takes place in a plenary setting. The essence in this methodology lies in the “hosting”: welcoming all possible ideas and make sharing easy by offering a structure and some “café table rules”. Are your meetings, workshops and discussions engaging and invigorating? Do they provide space for good ideas to emerge and flourish? Conventional structures and habits are often either inhibiting or too loose and not leading to actionable results. Frustrations and the feeling that time and money is being wasted are often a consequence of these approaches. Collaboration and co-creation approaches like liberating structures and world cafe offer a better way that is designed to include everyone and get to results. Their techniques are practical and easy to learn by design, so that everyone can apply them at every level in an organisation, both in small and large groups. They encourage everyone to contribute and enable you to connect diverse perspectives by encouraging true listening and sharing. In our immersion workshops, we will not just tell you about these techniques. Rather, you will experience them yourself and learn everything you need to practice them yourself in your own organisation. I love it when I see the sparkle in your eyes, loving what you do and confident it will create value and make life better, easier, more comfortable. I’m a great listener and challenger. I love to look at issues and questions from different angles, sometimes unexpected to you. 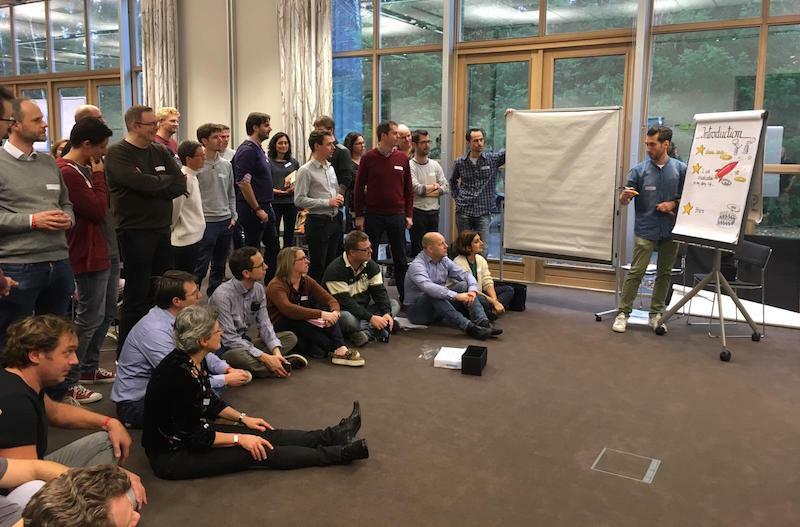 My facilitation skills are structured around three topics: align for the future, boost your team, go beyond idea generation and create new value propositions; and aims at getting the best possible result out of it. In my experience, these three topics help you to spend your time and effort well, and to make sure you do not waste valuable resources. 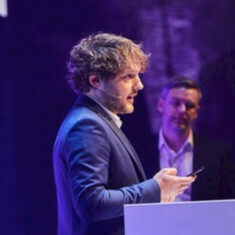 After about 10 years in business consulting and a prior 10 years in software engineering and research, Filip Hendrickx founded altershape to help established organisations become corporate startups. To do this, he follows a structured yet pragmatic approach, by bridging BA with lean startup and innovation techniques. 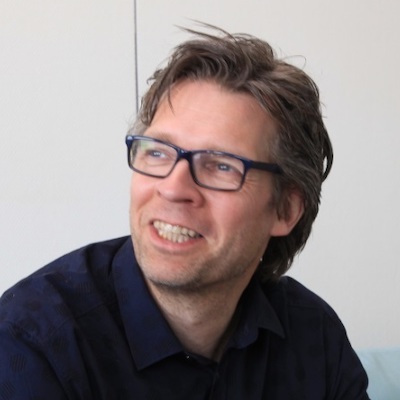 Filip is also creator of vantaggio, a benefit mapping tool, co-founder of ingage, a company focusing on the people side of business agility, and co-author with Ian Richards of the upcoming book on business transformation “When change isn’t strange”. 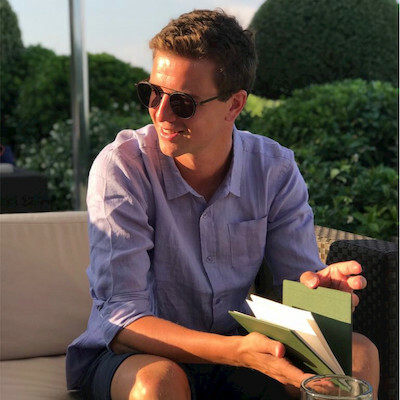 Finally, as VP Events of the IIBA Brussels Chapter, Filip helps supporting the BA profession and building the BA community in Belgium. Ritual Dissent is a workshop method designed to rapidly test and enhance proposals, stories, ideas or whatever by subjecting them to ritualised dissent (challenge) or assent (positive alternatives). Your idea is being discussed and challenged by a group of peers while you are facing away from the group, thereby depersonalising feedback, forcing you to listen and preventing you from participating in the discussion to defend your idea. The goal of the closing workshop is to let you think back, reflect upon your learnings of the day; and to give you space & time to formulate your own 15% solution. Where do you have discretion and freedom to act? What can you do without more resources or authority? In this workshop, we will not just tell you about these techniques. Rather, you will experience them yourself and learn everything you need to practice them yourself in your own organisation. Imagine your business stakeholder has an idea. In a classic approach, you help create a business case, with lots of information that is based on, honestly, assumptions. Because even with the best of intentions and a detailed up front analysis, we cannot exactly predict the future. In an agile approach, we accept there’s a lot we don’t know up front. So how do we (help) estimate the project? What’s the agile alternative for following up on scope, time and cost? How can we stay in control without sacrificing flexibility and responsiveness to changes? And what is the BA’s role in all this? Together with Damien, we will discover that agile is not in contradiction with scope management, budgeting and control. Rather, it can lead to more transparency and visibility, and help us get to better business decisions more easily. Please note that changes may occur in the conference programme. Changes to the programme do not entitle you to a refund of your registration fee. Leave your email address and be the first to receive updates about BA & Beyond's conferences, events, special offers and important changes. You can check out our previous emails here. Your data is as important to us as it is to you. We will not rent nor sell this list, we will not spam you, and you can always unsubscribe.